What types of cases are examples of tort cases? 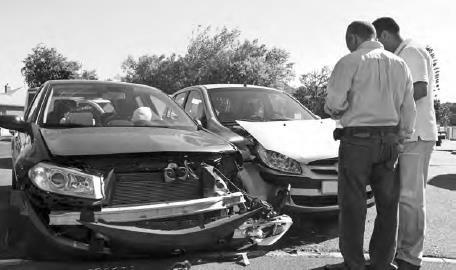 Most automobile accidents are tort cases. So-called slip and fall cases are tort cases. Nearly all personal injury cases are tort cases of some sort. Libel cases are tort cases. Products liability and medical malpractice cases are tort cases. When you hear a lawyer advertise herself as handling personal injury cases, that means she deals in tort law. A case involving an auto accident falls under the classification of “tort” law (iStock).